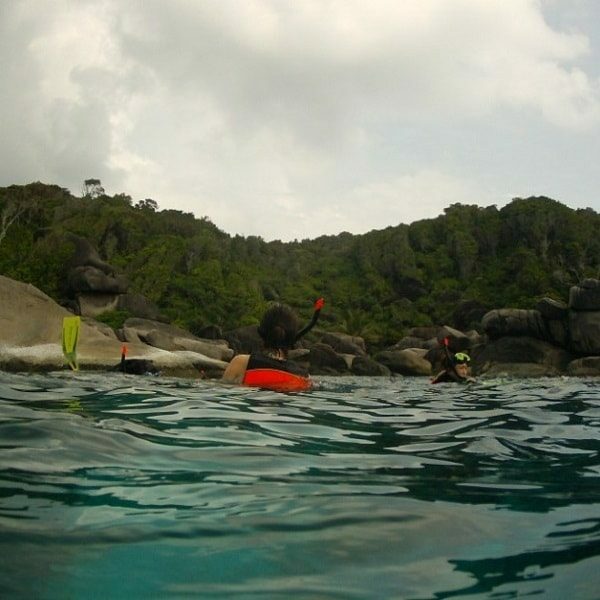 Koh Bon is a solitary island roughly 20km north of the Similan Islands. If you’re lucky you can see manta rays here. 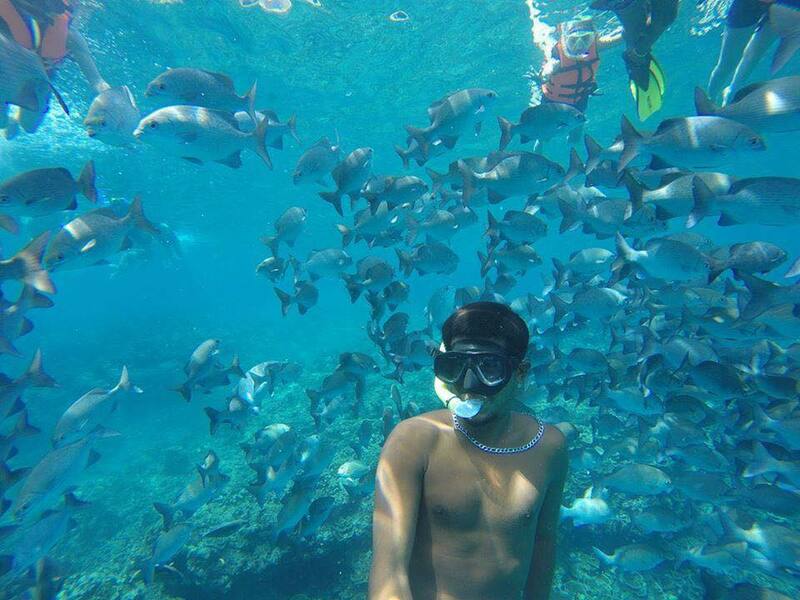 There are two snorkeling sessions on this tour. 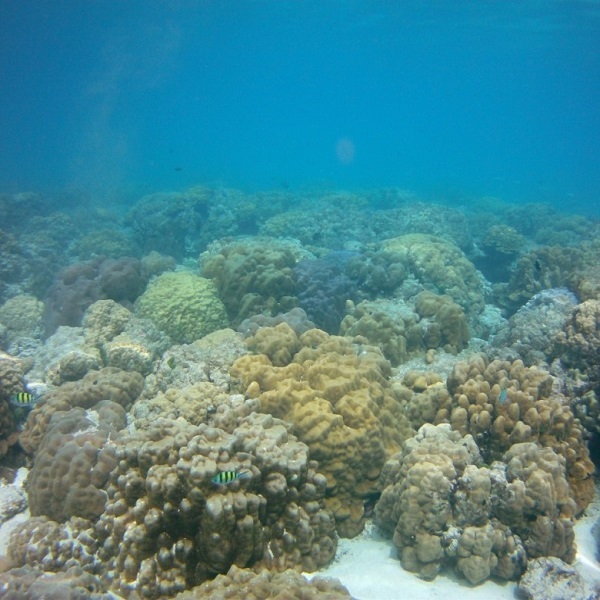 One at the Similan Islands and one at Koh Bon. 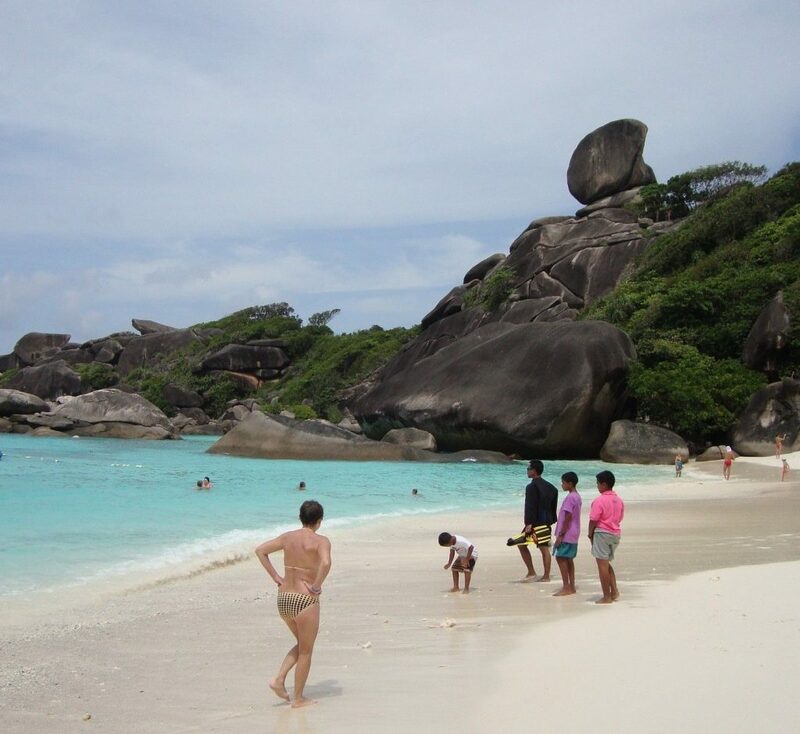 Plus beach time and the famous Similan viewpoint. 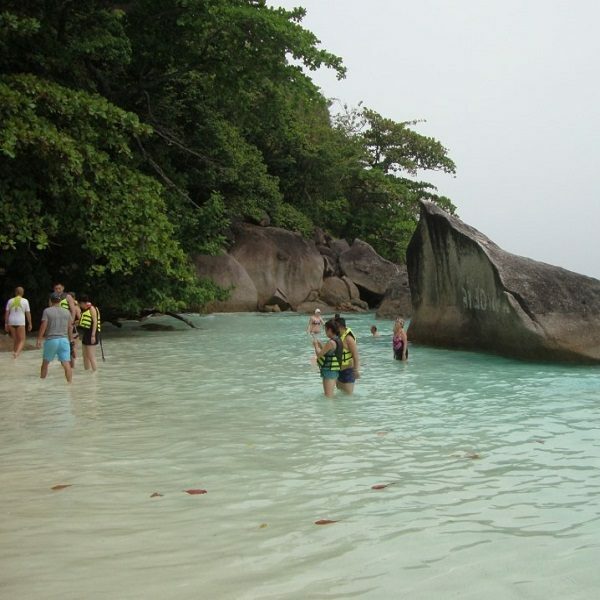 Koh Payu (island 7) or Turtle Rocks (Similan Island 9). 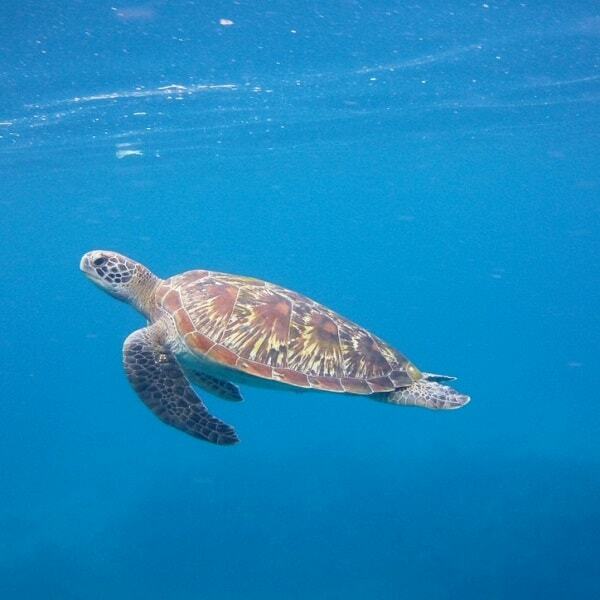 Hopefully to see turtles. 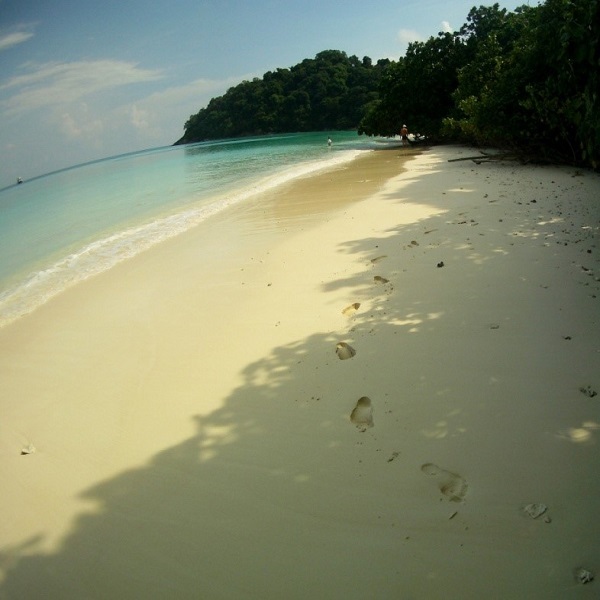 Koh Miang, Princess bay (Similan island 4). Beach time. 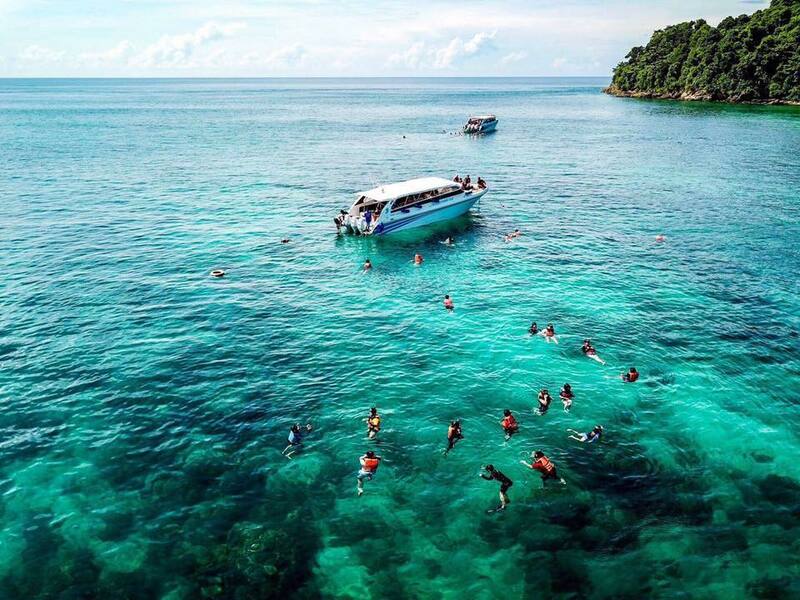 Koh Bon. 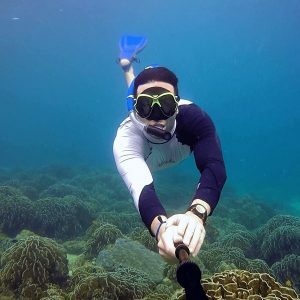 Hopefully for manta rays (slight chance from Jan-Apr), reef sharks, groupers, snapper, bream, fusilier, emperor fish, sea snakes, octopus, puffer fish, wrasse. Monday only from November to April. (For the best chance of mantas go mid Jan-Apr). 0630 hrs: Pick-up from Khao Lak hotels and transfer by minibus to Ban Nam Kem pier. 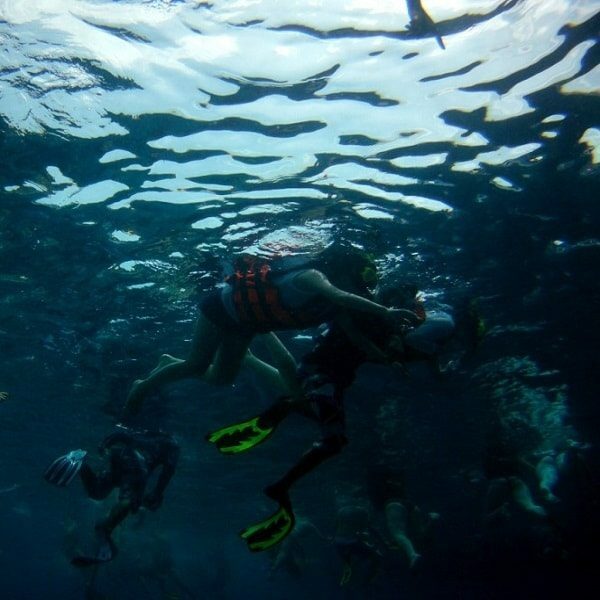 0800 hrs: After check in and pick up your snorkeling gear, depart for the Similan Islands. 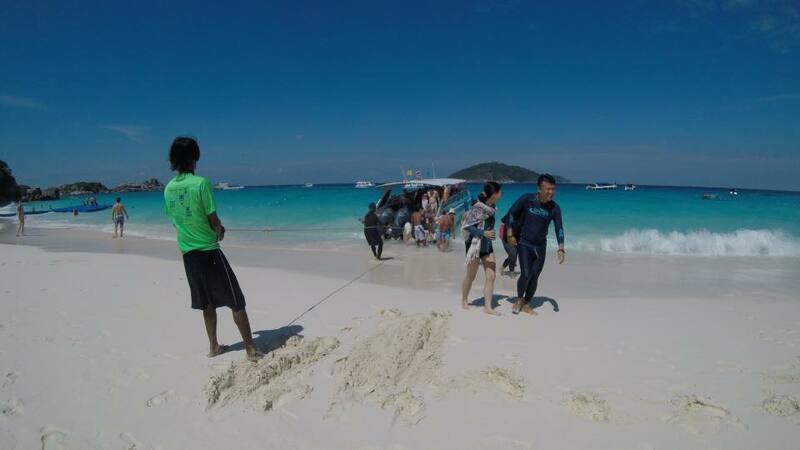 1000-1200 hrs: Discover the beach at Princess Bay, Koh Miang (Similan island 4). 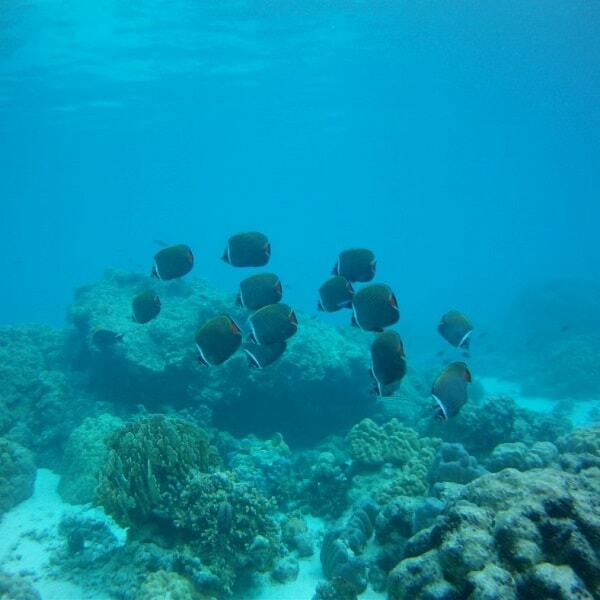 1200-1330 hrs: Similan Islands snorkeling session. Normally at island number 7 or island number 9. Hopefully we see a turtle. 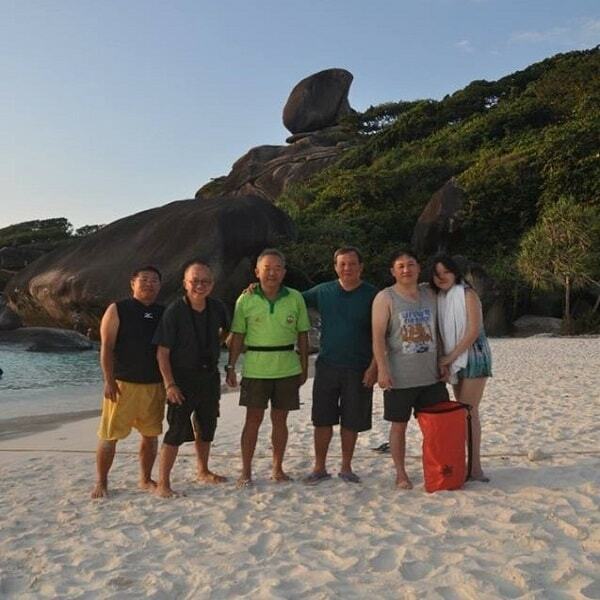 1330-1415 hrs: Beach excursion at Similan Island number 8, time to climb Sail rock viewpoint. 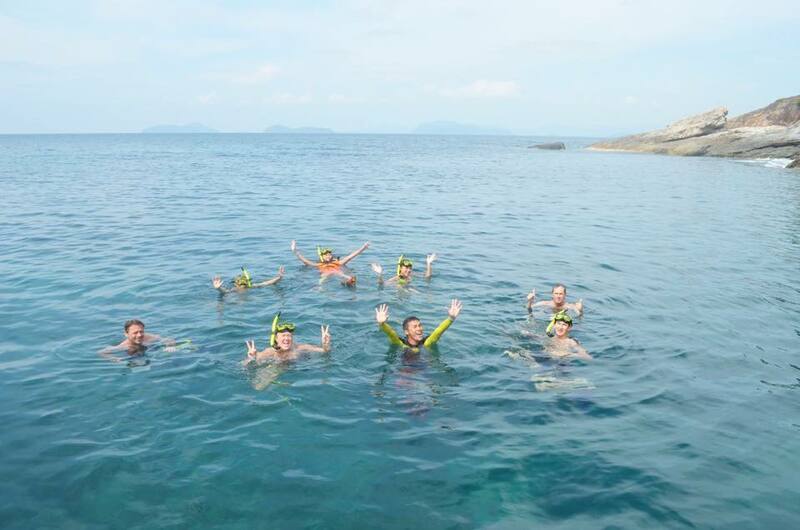 1500-1600 hrs: Snorkeling session at Koh Bon. 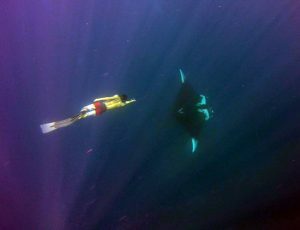 A small chance to see a manta ray. 1700 hrs: Arrive at Ban Nam Kem pier and transfer back to your hotel. 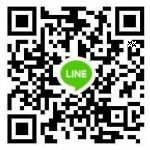 Price includes: National park fees, snorkeling equipment, snorkeling guide, lunch box (Thai food), hotel transfers*, accident insurance. 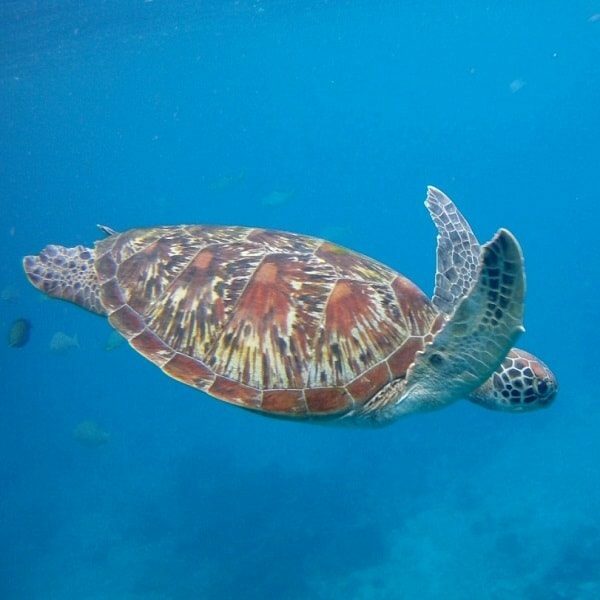 Important: From Oct 2018 visitor numbers into the Similan Islands marine park will be restricted. New rules require tour operators to provide passport details of all visitors in advance. You should also bring a copy of your passport face page with you on the tour. 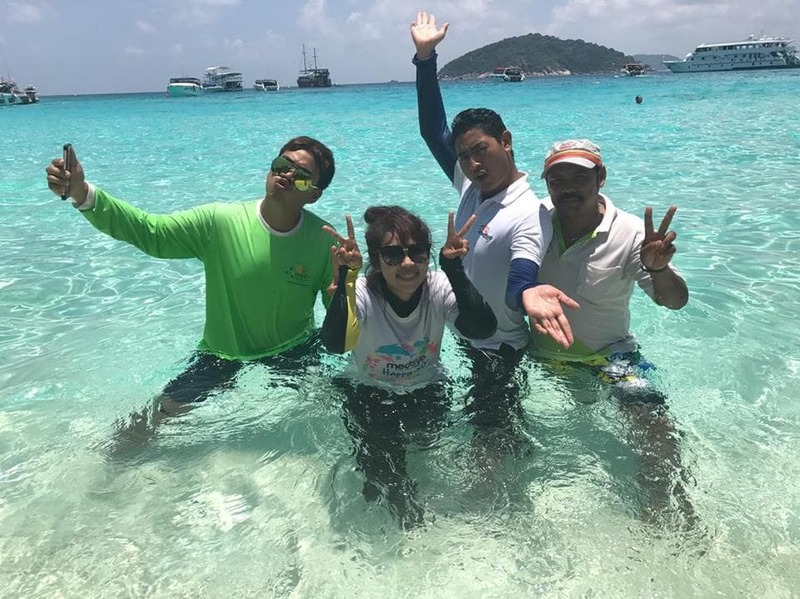 Please note that all bookings for Similan Islands tours are final, non-refundable, no change of dates, no refund for any reason is possible. 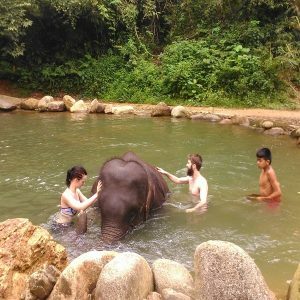 *Hotel pick ups and transfers: Free two way transfers are provided by shared minivan service from hotels in Khao Lak. Transfers cannot be provided from private addresses / airbnb’s. 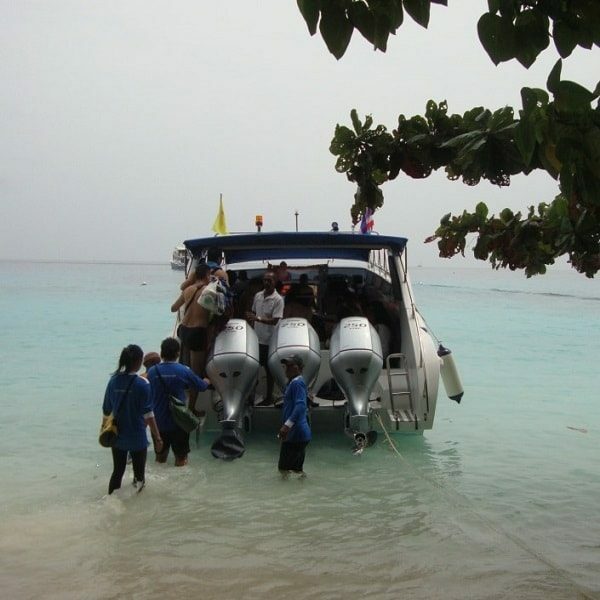 Restrictions: These speedboat tours are not suitable for infants 3 years old and under, or for pregnant women and the elderly over 70 years of age. In the event of cancellation, the following cancellation charges will be payable: 100% of total price. 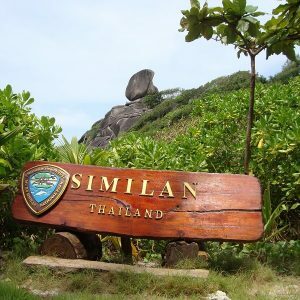 All bookings for Similan Islands tours are final, non-refundable, no change of dates, no refund for any reason is possible. Weather Policy: This is an all weather tour and still runs if it is raining in the morning. The tour will be cancelled if the forecast is for rough sea unsafe for small boats. The decision to cancel is made on the morning of the tour by the boat captain and the harbour master. If a trip is cancelled because of bad weather you can reschedule to the next available day. If you cannot reschedule you will be refunded in full.